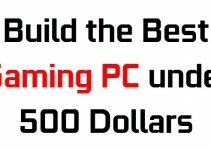 If you have a budget of 1000 dollars then you can really build a high-end gaming PC. A 1000 dollar gaming PC is powerful enough to play latest games on 1080p and 1440p resolutions. It may not be an ultimate gaming PC but is good enough to play latest demanding games at high / ultra graphics settings with 50 – 60+ fps. For a gaming PC under 1k dollars you can afford one of the best components available in the market right now. 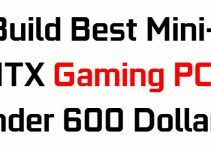 If you have lesser budget of around 500 dollars then you can also check my mid-range gaming PC build under 500 dollars by going through the link given below. Here are all the components you need to build the best gaming desktop under 1000 dollars. This is a high-end gaming PC and on this you will be able to play all the latest games on high-settings at 1080p and 1440p resolutions. You can also label it as VR Gaming PC because of the power it possesses. It does not include monitor, optical drives and input devices like mouse and keyboard but only the CPU. For a gaming PC under 1000 dollars you can afford to have one of the fastest and newest processors in the market right now. So for the processor I have chosen Intel Core i5-7600K Processor which is one of the latest 7th Generation Kaby Lake Core series processors from Intel. 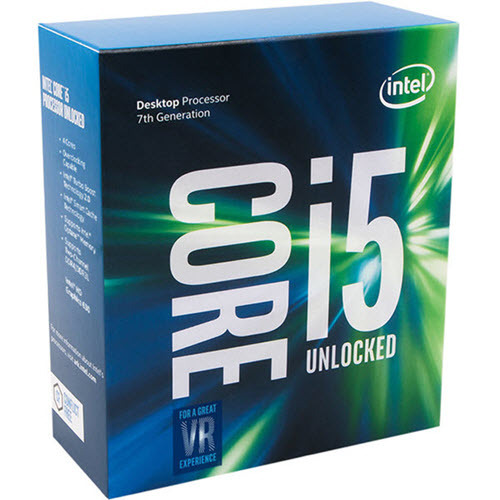 This is the fastest quad core Core i5 processor and only Core i7 processors are above it in terms of performance. Intel Core i5-7600K has base clock frequency of 3.80 MHz and it can reach up to 4.2 GHz in turbo mode. It is an unlocked processor which means it can be overclocked to higher frequencies when paired with a Z series motherboard. The performance of this processor is amazing and it has got 6MB cache. It also supports Intel Optane Memory for enhancing the overall performance of your desktop. Here I have only picked up processor and not the heatsink because I will add a good aftermarket CPU cooler for this processor. You definitely need a good CPU Cooler for the Intel Core i5-7600K processor so here I have picked Cooler Master Hyper 212 EVO CPU Cooler which is an affordable and high performance CPU cooler. It fully supports LGA 1151 Socket type and has decent form factor. 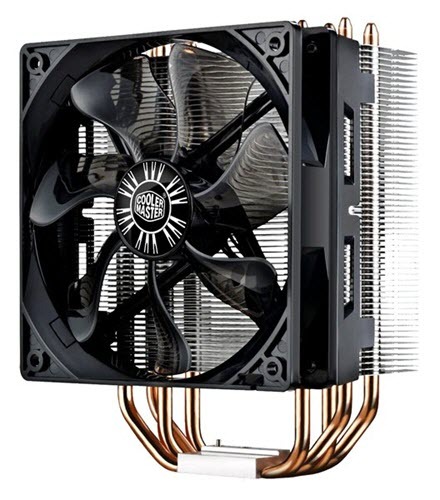 This aftermarket CPU cooler comes with 120mm fan that has speed of 600 – 2000 RPM. There are 4 Copper heatpipes that has direct contact with the CPU for better heat transfer and heat dissipation. Cooler Master calls this as CDC (Continuous Direct Contact). The CPU Cooler is very quiet and offers superior cooling and performance. The cooler has dual fan design which means you can add an extra fan to it if you want to increase the cooling performance to even further. 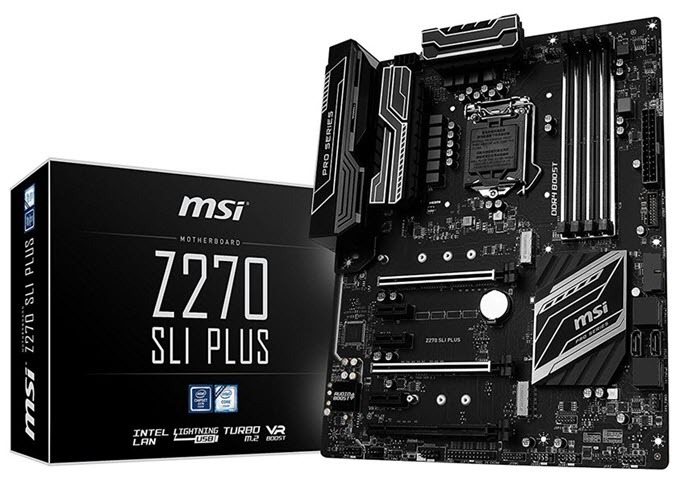 To unlock the true potential of Intel Core i5-7600K processor you need a good motherboard for your gaming PC, so here I have selected MSI Z270 SLI PLUS motherboard. This is a LGA 1151 Kaby Lake motherboard which is based on the latest Z270 chipset from Intel. It supports both Intel Skylake and Kaby Lake processors based on LGA 1151 Socket type. This is a gaming ATX motherboard that fully supports overclocking of processor and of DDR4 memory. The motherboard comes with 3 PCI-Express x16 slots and supports SLI and CrossFire multi-GPU technology from Nvidia and AMD. It also comes with M.2 slots for NVMe SSDs and Intel Optane Memory. Other features of this MSI Z270 gaming motherboard includes RGB Lighting, USB Type C port, VR Ready & VR Boost, EZ Debug, DDR4 Boost, Double ESD Protection, UEFI Click BIOS 5, X-Boost, Audio Boost, Water Cooling support and more. This motherboard fully supports Windows 10 operating system. RAM plays an important role in the performance of a PC whether it is a gaming PC or a normal one. 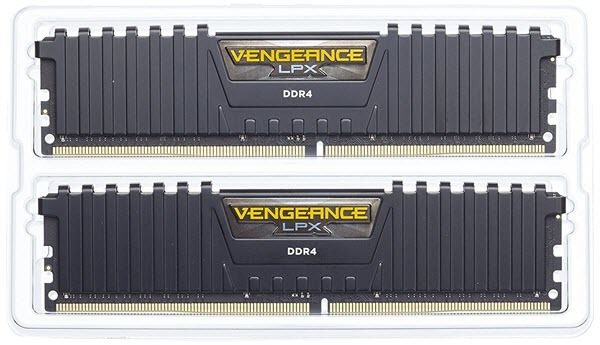 For a high-end gaming PC I would recommend 16GB of super fast memory in dual channel mode, so here I have picked Corsair Vengeance LPX 16GB (2x8GB) DDR4 RAM (CMK16GX4M2B3000C15). In this RAM package there are two sticks of 8GB each which you can run in dual channel mode on the Z270 motherboard mentioned above. This is a high performance gaming RAM that has default clock speed of 3000 MHz and you can overclock it to 3600+ MHz using Intel XMP 2.0. The RAM comes with heat spreader which prevents it from getting hot. 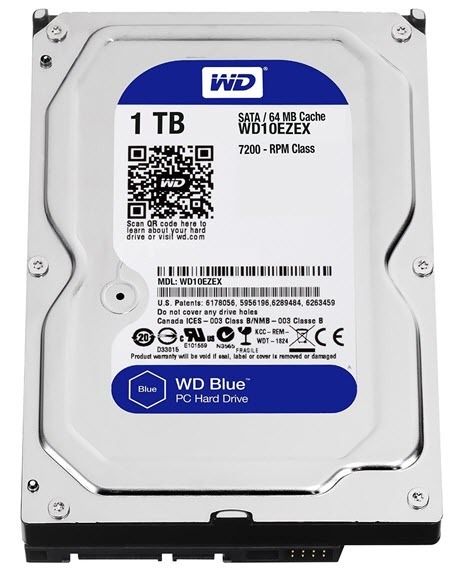 For the hard drive I am not going fancy with SSD and only be using WD Blue 1TB HDD (WD10EZEX), which I think delivers both performance and sufficient storage space for your games and other data. Western Digital Blue is a very reliable hard drive that offers good performance and loads of storage space. This is SATA III 6Gb/s hard drive that comes with 64MB cache and has 7200 RPM spindle speed. It run pretty cool and is also quite quiet in operation. You can also get an additional SSD for operating system in future when you have extra money in you hands. 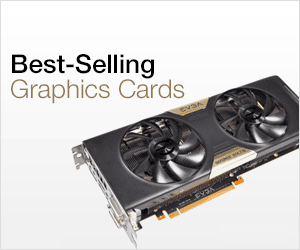 Now we come to the most important component of our 1000 dollar gaming PC which is the Graphics Card. Here I have chosen ZOTAC GeForce GTX 1070 Mini graphics card which is powerful, compact and is based on the GeForce GTX 1070 GPU from Nvidia. GeForce GTX 1070 is a high-end graphics card which is based on the latest Pascal GPU architecture from Nvidia. It comes with 1920 CUDA Cores and 8GB GDDR5 memory. It is a true gamer’s card and on this you can play latest games on high / very high settings at 1080p and 1440p resolutions with playable frame rates. 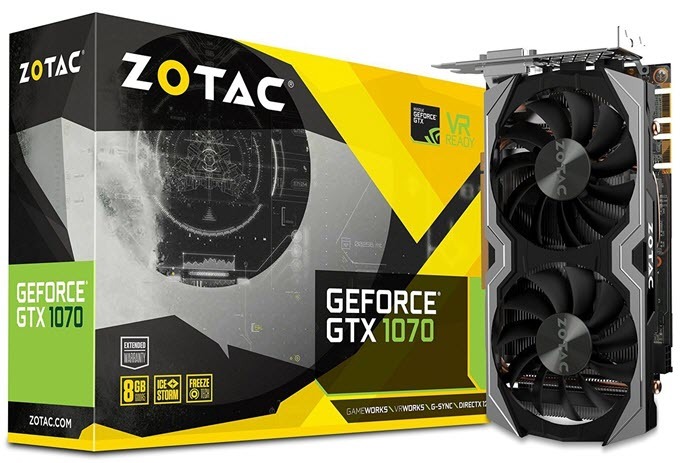 ZOTAC GeForce GTX 1070 Mini is a compact GTX 1070 graphics card that can also fit in small form factor or mini-ITX cases. It has got dual slot design and there are two fans on the heatsink for better and efficient cooling. It comes slightly overclocked and you can overclock it further using good overclocking softwares. This Zotac GTX 1070 card is also cheaper than the other GTX 1070s from brands like EVGA, MSI, ASUS. Zotac GeForce GTX 1070 Mini is a great combination of value performance and compact size. It requires 8-pin PCI Express power connector and a good 500W power supply for its working. To power all these high-end components you need a good power supply. Here I have chosen EVGA 600B Bronze Power Supply which is a high quality and affordable 600 Watt PSU. 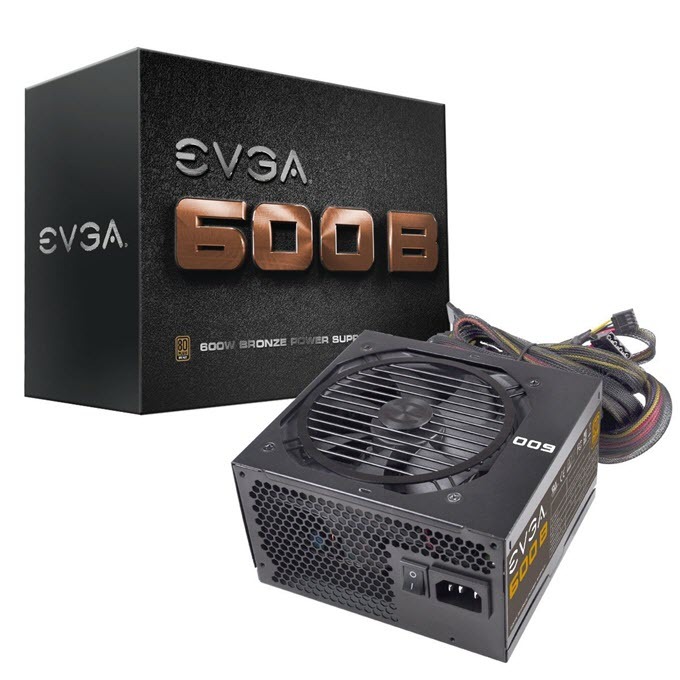 This 600W power supply from EVGA has got 80 Plus Bronze Certification and has efficiency of 85% or higher. It has got enough cables and connectors for all your computer components. The cables are of good quality and are all sleeved. The power supply has got single 12V Rail that has got 49A current under it. The PSU comes with two 8pin (6+2) PCI Express connectors for graphics cards. It has one 120mm fan which is very quite in operation and does a great job in keeping the PSU components cool. Also the power supply comes with all the protection features including OVP (Over Voltage Protection), UVP (Under Voltage Protection), OCP (Over Current Protection), OPP (Over Power Protection), SCP (Short Circuit Protection), and OTP (Over Temperature Protection). A good solid Mid-tower computer case will be more than enough for putting all these components in. 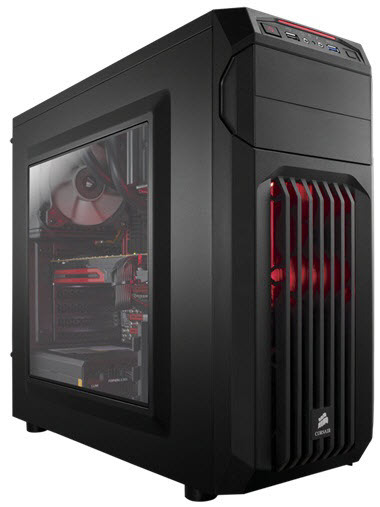 For case I have chosen Corsair Carbide Series SPEC-01 Mid-Tower Gaming Case which is an affordable and high quality computer case for gaming. It supports Mini ITX, Micro ATX, ATX motherboards. The case looks very stylish, modern and comes with one 120mm Red LED fan on the front. SPEC-01 has got excellent ventilation and airflow because it comes with plenty of fan installation points. You can install two 120mm / 140mm fans on the front, two 120mm fans on top and one 120mm fan on the rear. The side panel window is transparent where you can look at all of your installed components from outside. It can support long graphics cards up to 420mm in length and has got seven expansion slots, two 5.25-inch and four 3.25/2.5-inch bays. On the front you can find audio ports, one USB 2.0 and one USB 3.0 port. There are dust filters for front and PSU intake which is very essential for such a high-end gaming build. Other features include cable management and corsair liquid coolers support. Adding up the prices of all components, the final cost will come at around 1000 dollars. The total budget may go over 50 dollars or so because I do not want to compromise on performance and want you to have best and the latest components available, so that they can last longer for you in future. The extra few dollars may not be a big deal for you if you are spending 1k dollars already. 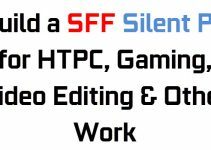 If you have any queries about the gaming PC or components then you can ask me by leaving a comment below. okay so the zotac graphics card Will all of the parts go together if i use the model of normal one called founders edition with this link ? https://www.amazon.com/dp/B01GVNN9GQ/ref=twister_B01H2UVHJI?_encoding=UTF8&th=1 let me know as soon as possible thanks!!!! The link you have given is for the AMP Extreme Edition but you can also use the founders edition or the amp extreme edition. There is no such issue to worry about. If you have any more queries then feel free to ask.